HTC will hold a special event on October 20, when it may launch a new One series smartphone. We’ll bring you all the details on the day, but in the meantime we’ve been hearing plenty about a device known as the One A9, or the Aero/Hero. These two phones may end up being one and the same, so here’s everything we think we know about the One A9. 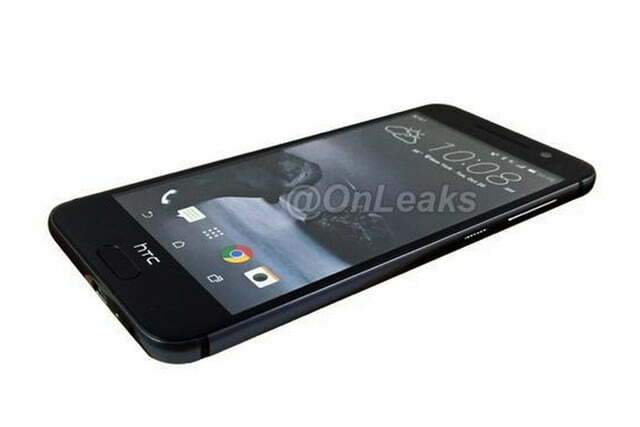 Updated on 10-12-2015 by David Curry: Added in new press photos of the rumored HTC One A9/Aero. 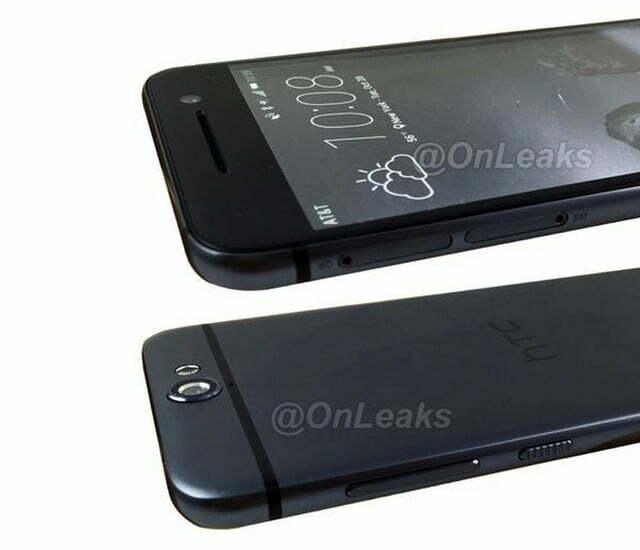 A week before the HTC event, new press-style photos of what appears to be the HTC Aero/One A9 were published through the @OnLeaks Twitter account. 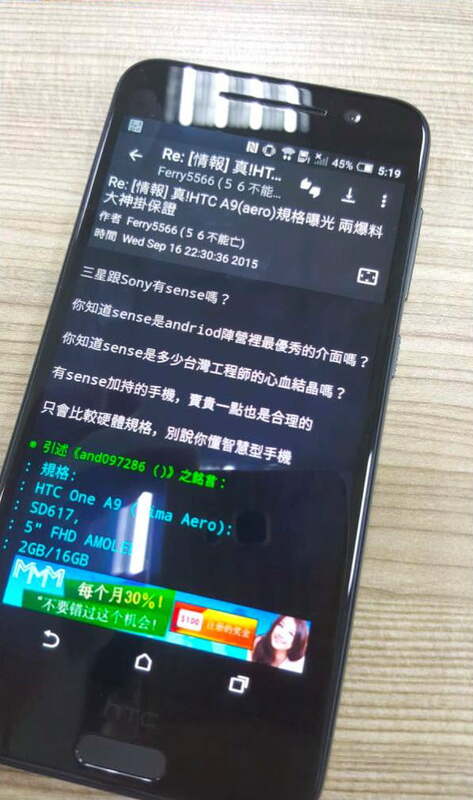 The commercial name of the device wasn’t mentioned, though in previous leaks it has been called the One A9. In the photos, we see AT&T branding on the front and back of the device, meaning if the pictures are genuine, it may come to the carrier in the future. 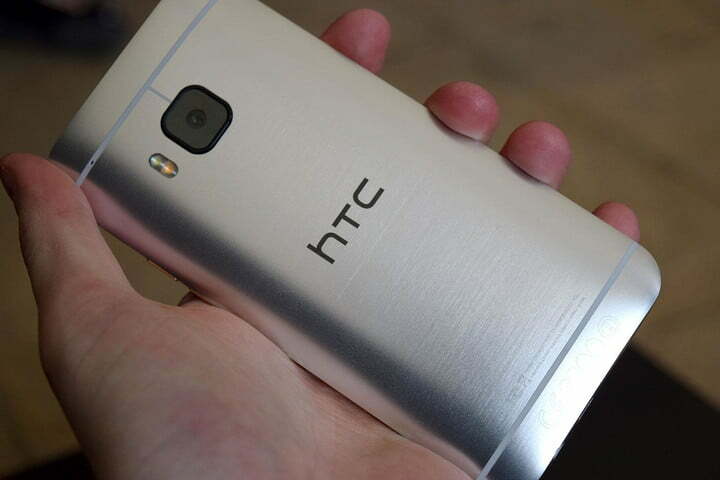 The HTC Aero/One A9 looks like it will take HTC’s designs in a new direction over its previous high-end models. The camera on the back protrudes from the body, is housed in a circular section, and may come with a single-LED flash. On the front, a rectangular home button sits underneath the display, which will reportedly double up as a fingerprint sensor. 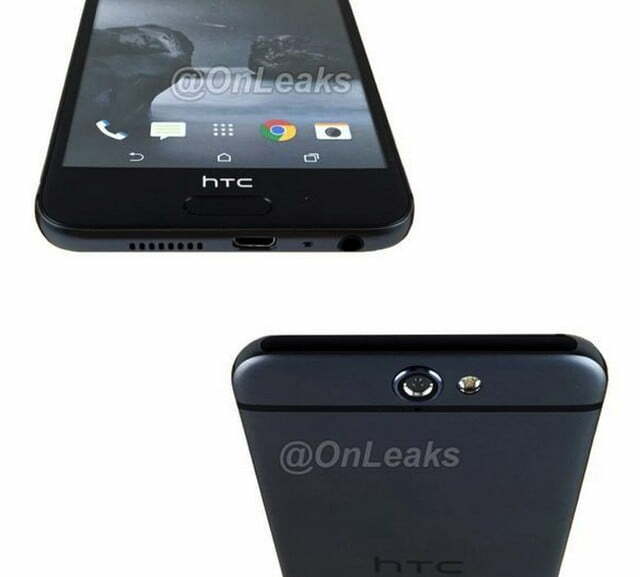 Before this, we had a quick glance at a phone said to be the One A9 via @evleaks on Twitter. The press-style renders of a phone referred to as the Aero looks strikingly similar to the One A9 above, and the iPhone 6/iPhone 6S. The color options shown are named acid gold, opal silver, deep garnet, carbon gray, rose gold, and cast iron. In addition to the press render, an image of what may be the real thing was leaked on Weibo. The image itself gives a closer look at the home button, which may also contain a fingerprint sensor at the bottom. Some of the specs are revealed on the display. Where will the One A9 sit in HTC’s range should it be announced? No-one’s sure yet, and the rumors can’t agree either, with some saying it’ll be a mid-range phone, and others claim it’ll be a high-end flagship. If the leaked images are genuine, we’re looking at 5-inch display with a resolution of 1080p (1,920 x 1,080), with power coming from an octa-core Qualcomm Snapdragon 617 processor, and 2GB of RAM. A total of 16GB of internal storage is also possible. Incidentally, the Snapdragon 617 processor would support Qualcomm’s new Quick Charge 3.0 feature. Sony’s name is also mentioned, and it may refer to the company supplying components related to the camera. Talk of the phone having high-end specs came in early September, when it was known as the Hero/Aero on Geekbench’s website. The mystery phone didn’t have a Snapdragon chip, but a the MediaTek Helio X20 deca-core processor and 4GB of RAM were put on test instead. The processor is the latest from MediaTek, and has been confirmed as powering the Acer Predator 6 gaming phone. The benchmark test data didn’t provide any other information, but past Aero/Hero leaks showed a 2,560 x 1,440 pixel resolution display. We don’t know if they’re one and the same phone yet, or if a MediaTek-powered phone will be made available only in some regions. Software-wise, the Aero could run Android 6.0 Marshmallow out of the box, according to @LlabTooFeR, who has an established track record of leaking HTC-related information. It may also use the newest version of HTC’s custom user interface, Sense 7. HTC confirmed Android 6.0 Marshmallow would be a feature on its new phone, should that be the A9, on its invitations to the October 20 event. The Federal Communications Commission (FCC) added three certifications for unnamed HTC smartphones at the beginning of October, one for the One A9u (2PQ9100) that’s expected to be an international version, and two specific to the United States. The international version supports a large amount of non-U.S. LTE bands, but may be sold by unlocked resellers in the United States. The first (2PQ9120) of the two certified devices supports LTE bands 2, 4, 5, 7, and 12, all commonly used by American carriers. The second (2PQ9300) supports LTE bands 25, 26, used by Sprint. The Global Certification Forum (GCF) went a step further and revealed a possible name of the device — the HTC One A9, which it certified on Oct. 2. We’ll keep you updated on all the One A9 (or Hero/Aero) rumors right here. Updated on 10-05-2015 by David Curry: Added HTC One A9 (Sprint) and GCF international certification. Updated on 09-29-2015 by Malarie Gokey: Added in HTC announcement for an October 20 event, which is likely for the One A9 or Aero/Hero. 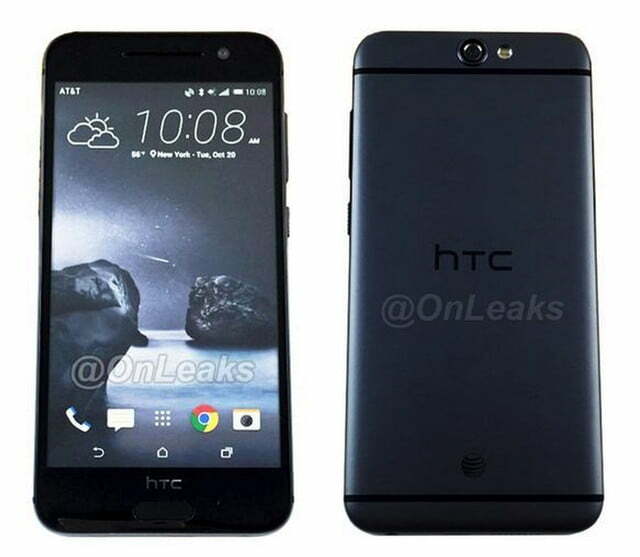 Updated on 09-21-2015 by Robert Nazarian: Added in leaked images and updated specs. Updated on 09-14-2015 by Robert Nazarian: Added in news that the A9 Aero will run Android Marshmallow and Sense 7 out of the box.